Some biographies of famous people from Kenya – in the positive or negative sense... Also have a look at this page about Kenya quotes from famous and ordinary Kenyans. Karen Blixen (1885-1962) was a writer who, under her pen name Isak Dinesen, wrote the book “Out of Africa” which was later turned into the famous movie with Meryl Streep. Blixen was born in Denmark, where she conveniently married her nephew, baron Bror von Blixen-Finecke, and together they migrated to Kenya in 1914, where she got syphilis from her unfaithful husband. 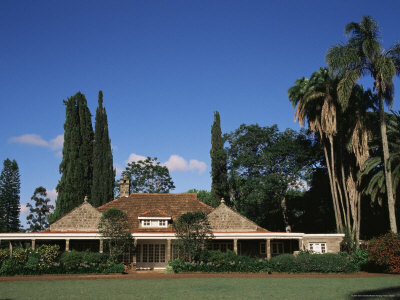 They separated in 1921, after which she immersed herself with her coffee farm, with actions to improve the living conditions of her Kikuyu workers, a love affair with Denys Finch Hatton and most importantly with her books and novels. She wasn’t very successful with farming, and her farmed was later destroyed by fire. Worse, Denys died in a plane crash accident. Bankrupt, she returned to Denmark to write her most famous novel “Out of Africa” in 1937. She had madly fallen in love with Kenya, but for one reason or the other would never return to Kenya. She kept being plagued by syphilis until her death in 1962. As the leader of the independence movement and first president of Kenya after independence (1963), Kenyatta is no doubt the most influential Kenyan in the 20th century. As the leader of KANU (the political movement which led the struggle for independence), the British colonizers sent Kenyatta to 7 years of hard labour. After independence, Kenyatta followed a course of reconciliation with the British and choose the side of the West in the Cold War. During his era Kenya built an international reputation for being one of the most stable African countries. Foreign investments flew in, Kenya was doing well economically and Kenyatta had influence throughout Africa. However, Kenyatta also started the deep rooted favouritism (if not outright corruption): he used the land reforms to give the best pieces of land to friends and relatives and he made himself the biggest landowner in the country. Richard Leakey (born 1944 in Nairobi) is a paleontologist, archaeologist and conservationist, and a larger-than-life public figure in Kenya. He was of British white descent but he was a true Kenyan: his grandparents already settled in Kenya as Christian missionaries. 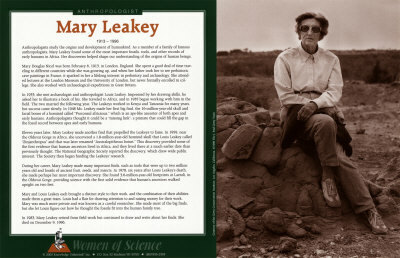 His parents were the famous archeologists Louis and Mary Leakey, who did groundbreaking research to the origin of humans in East Africa. Richard first set up a company in among others safaris as a teen, but later followed in his parents footsteps and made groundbreaking discoveries himself. Richard Leakey was active in government and politics. From 1989 on, he stopped the slaughter of elephants by poachers as a head of the forerunner of the Kenya Wildlife Service. He authorized wildlife guards to shoot poachers on sight and made international headlines with the public burning of giant piles of ivory. In 1995 he founded a political party – Safina – to combat the rampant corruption in the country. He was harassed by the Moi regime, but in 1999 Moi had to appoint him as Cabinet Secretary and overall head of the civil service, under pressure of international donor institutions. In 2007, he became head of the Kenyan branch of Transparency International. Daniel arap Moi was the second president of Kenya, from 1978 to 2002. He was born in 1924 as the son of poor parents. He worked himself up as vice president under Kenyatta, which was not easy as he was of the small Kalenjin tribe and politics was, and to a great extent still is, dominated by the Kikuyu. After Kenyatta’s death in 1978 he managed to become president. Moi was always impeccably dressed in dark suits with a trademark rose in his buttonhole, and carried a silver-topped ivory stick with him everywhere, a Swahili symbol of his power. Over the years he became more and more authoritarian. In 1982 he constitutionally outlawed all political parties except his own, and harassed and tortured political enemies. But as he continued and reinforced Kenya’s pro-Western course during the Cold War, international funds kept flowing in and the economy did relatively well. When the Cold War ended, Western governments suddenly discovered his authoritarian politics and the funds stopped. From 1990 on, Kenya entered a period of stagnation and crisis. Moi had to allow multi-party elections and in 2002 he lost power to the new president, Mwai Kibaki. Prof. Wanagari Maathai (born 1940 in Nyere, Kenya) is a Kenyan environmental and women’s rights activist. In 2004 she was the first African woman to receive the Nobel Peace Prize "for her contribution to sustainable development, democracy and peace". Maathai studied biology in Kansas and Pittsburg in the United States. She was the first East African woman to received a Ph.D. (in veterinary medicine from the University of Nairobi). In 1977 she founded the Green Belt Movement, which planted 30 million trees in Kenya to combat soil erosion. During Daniel arap Moi’s regime she was put in prison several times for violent actions. In 2002, when Mwai Kibaki became president, she was voted into parliament and from 2003 to 2005 she was Assistant Minister for Environment and Natural Resources in Kibaki’s administration. She wrote an autobiography, “Unbowed: One Woman’s Story”. Ngugi wa Thiong’o was born in 1938 as James Ngugi. He is Kenya’s most prominent author (novelist, playwright and essayist). He went to missionary school and was a devout Christian as a child, but later he became critical of everything Western. He rejected Christianity and embraced his native Kikuyu culture, changing his name to Ngugi wa Thiong’o. At the same time he became a fierce critic of colonialism and adopted Marxism. In 1964 he published the first novel in English by an East African author, “Weep not, child”. This book, as well as “A Grain of Wheat” (1967) and “Petals of Blood” (1977) have been translated into 30 languages, and were re-issued in 2002 as Penguin modern classics. Later he argued that literature written by a Kenyan in a colonial language (English) cannot really be Kenyan literature. He published his first book in Kikuyu, “Caitaani Muthara-Ini” (Devil on the Cross), in 1980. His work was banned by the government and he was detained in prison without trial. In 1985, he went into exile in London. Ngugi accepted a position as professor of literature at New York University in 1992. Paul Kibbi Tergat (born 1969) is considered as one of most successful long-distance runners of all time. He currently holds the world record in the marathon: in 2003 in Berlin he completed the marathon (traditionally 42 kilometers) in 2:04:55, which is an average speed of 12.6 miles per hour or 20.3 km/hour! During his career, he won a long list of gold, silver and bronze medals in running competitions around the world. His nickname is “The Gentleman”. Since 2004, Tergat is an ambassador for the UN World Food Program. This program provided Tergat with lunch at school, as his parents were too poor to send him to school with food. Tergat says he could not have finished school without this food program. In 2005, he also founded the Paul Tergat Foundation which supports disadvantaged sports people in Kenya. He also runs a sports PR and marketing firm. US Senator and Presidential candidate Barack Obama didn't live in Kenya himself, but his father was a Kenyan, from the Luo tribe. His father, Barack Hussein Obama Sr. started life in a poor family in a goat herding village, but won a scholarship for a US university where he married an American woman. They gave birth to Barack Obama in 1961. All the details are at my page Barack Obama and Kenya - His African roots.